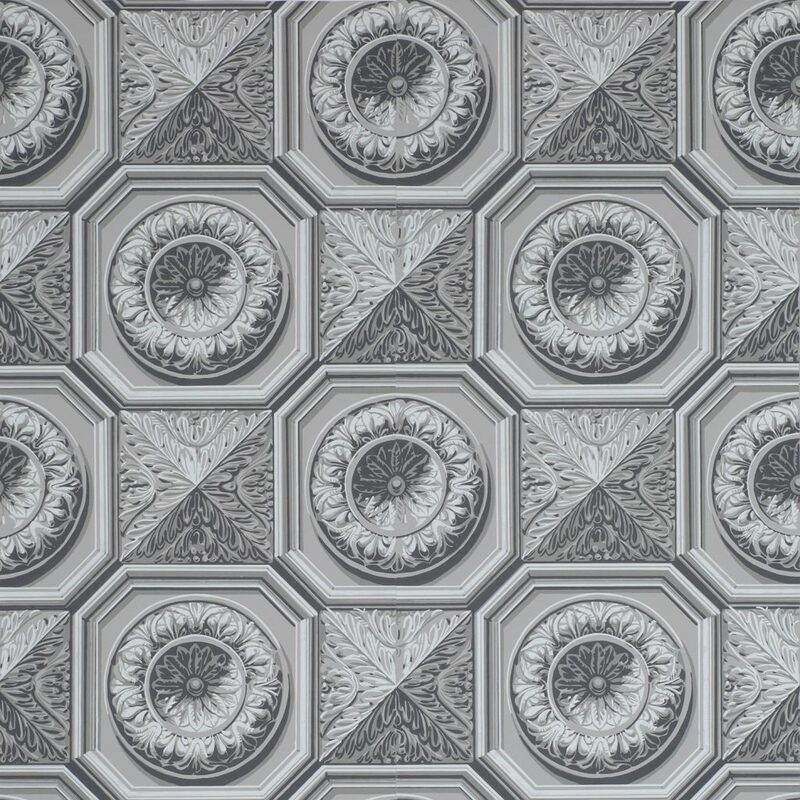 This elegant ceiling paper was found in a store in New Berlin, New York, pasted to the plaster between shelves. No doubt it was a bit of leftover stock used to “fancy up” the premises. The extremely skilled use of grisaille to suggest light and shadow renders it strikingly three dimensional, a classic attribute of good French papers. 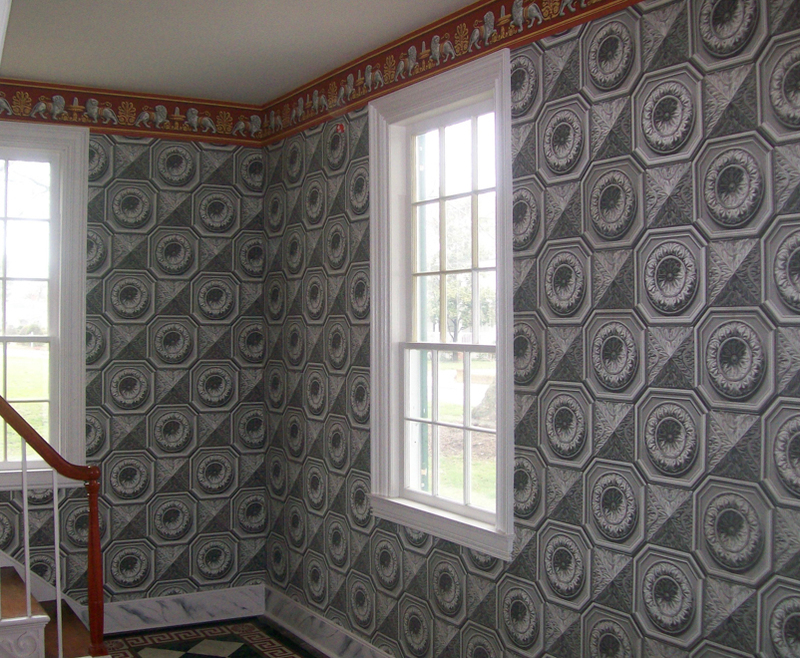 It’s large scale and robust proportions coupled with the use of medallions and tiling are typical of the 1820s and 1830s. Intended primarily for use on ceilings, French Coffered is also appropriate for staircase passages and hallways. Imperial Measurements: Repeat 18 ⅝ inches, width 18 ⅝ inches, length 11 yards, straight match.